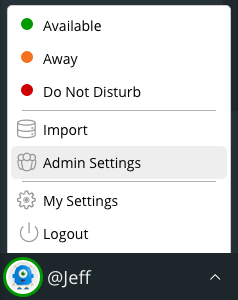 When you are an Administrator in Ryver, you will see an “Admin Settings” option in the menu at the bottom of the left navigation bar. Currently, the only tool available under Admin Settings is Manage Users. We will only show this for users who have not accepted their initial invite. Once they have created their user profile, you won’t see this button anymore. You can promote a member to be an Admin of your Ryver account. Once you do so, they will also be able to access the Admin Settings menu, and they will also be able to invite new members to your Ryver account. 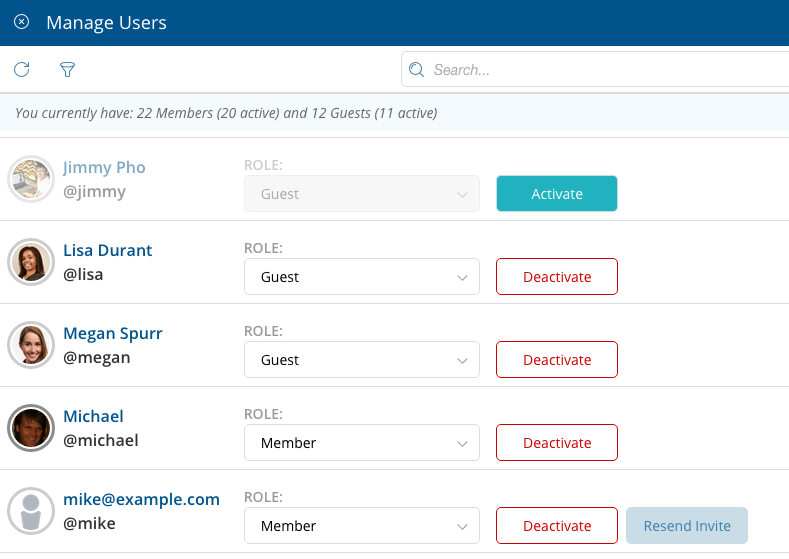 You can promote a guest to be a member, but you can’t directly promote a guest to Admin. Once they are a member, you can change their role again, and Admin will be one of the options. If you deactivate a user, they will no longer be able to log into your Ryver account, but they will remain in the User Manager and you can re-activate them later if you wish. Their content will remain in the system, so users will still see all of their posts, comments and chat messages. Ryver does not allow you to completely delete a user. You can only deactivate them. Note, however, that we are looking into allowing the deletion of a user who has never accepted their invite.